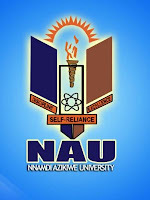 The Nnamdi Azikiwe University has scheduled its 2018/2019 POST UTME and DIRECT ENTRY screening exercise for candidates who made the University their first choice in the 2018 University Tertiary Matriculation Examination (UTME) and Direct Entry as well as all NAU Affiliate Institutions. SATURDAY, 25TH AUGUST – TUESDAY, 4TH SEPTEMBER, 2018. Saturday, 25th August 2018: FACULTIES OF ARTS AND PHYSICAL SCIENCES. 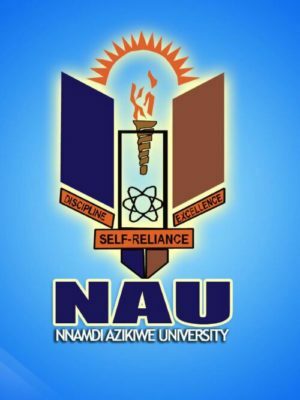 Monday, 27th August 2018: FACULTIES OF MANAGEMENT SCIENCES AND BIO-SCIENCES. Tuesday, 28th August 2018: FACULTIES OF ENGINEERING, EDUCATION AND BASIC MEDICAL SCIENCES. Wednesday, 29th August 2018: FACULTIES OF HEALTH SCIENCE AND TECHNOLOGY. Thursday, 30th August 2018: FACULTIES OF SOCIAL SCIENCES AND PHARMACY. Friday, 31th August 2018: FACULTIES OF MEDICINE AND AGRICULTURE. Saturday, 1st September 2018: FACULTIES OF LAW AND ENVIRONMENTAL SCIENCES.